Our cans are crushing it. Ah, the underappreciated beer can. We’ve relied on these iconic aluminium cylinders to keep our beers fresh and flavorful since the 1930s - and we haven’t stopped re-inventing since. In honor of #BeerCanAppreciationDay, here’s a look at three of our most surprising cans to date. Dubbed “the world’s most unique beer can” in 2013, it took three years to develop this marvel of design. The sleek, eye-catching ‘bow-tie’ shape (a nod to the iconic Budweiser logo) was a feat of engineering too, as aluminium can only be stretched 10% without fracturing. Last year Beck’s pushed the limits with their special edition, “legendary” flute-shaped can for our premium German pils. Known as “Le Beck’s” the brushed aluminium packaging with an engraved label made headlines around the world and earned multiple design honors, including the prestigious Grand Award at the London International Awards. All that glitters was gold for our LA-based Golden Road brewery in 2017. 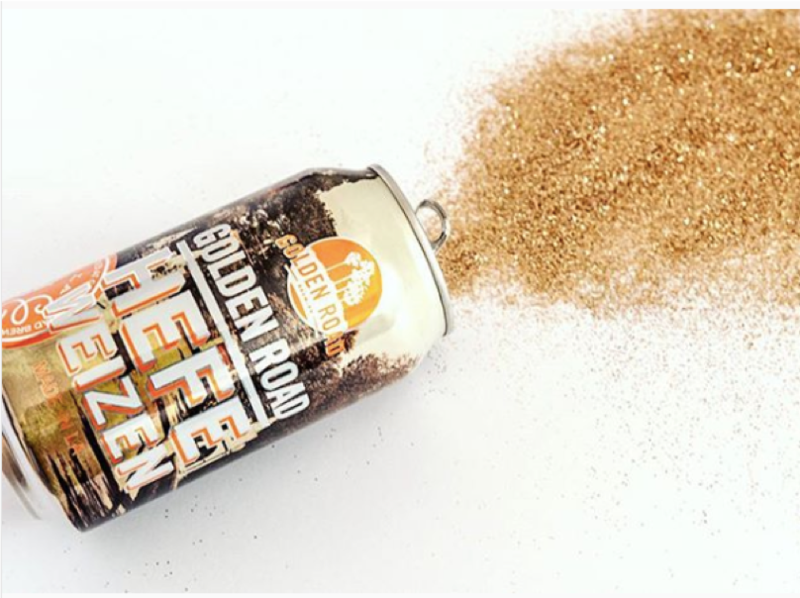 In honor of April Fool’s Day, they offered limited edition six-packs of hefeweizen with a surprise inside: upon opening the cans unleashed a cloud of glitter.